Although stem cell research is a field that stands to benefit a lot from international cooperation, collaboration between scientists of different countries is hampered by the great divergence in national stem cell legislations. More specifically, researchers from countries with restrictive stem cell policies find themselves unable to participate in international research or attend meetings or workshops in more permissive environments as they fear being prosecuted in their home country for activities that are deemed acceptable abroad. Juridical clarity on this subject is long overdue. Legally, extraterritorial jurisdiction based on the nationality principle does not conflict with international law. However, invoking this principle to prosecute stem cell researchers would constitute a breach with the current custom to limit extraterritorial jurisdiction to exceptional crimes or circumstances. On the ethical front, legislators have an obligation towards their constituents to protect them from harm through the criminal justice system, but at the same time they should be wary of legal moralism and of jeopardising freedom of research. Researchers on their part cannot simply ignore the law whenever it deviates from their personal moral opinions, but they are not acting unethically if they perform research that they esteem to be ethically justified where it is also legally accepted. Allowing researchers to work freely abroad—within the jurisdiction of the host country—is a way for legislator and researcher to show respect for each other’s different moral values and to balance their rights and obligations towards each other. The preparation of this article was supported by a grant from the Research Foundation–Flanders. 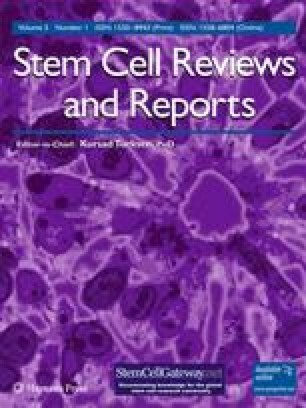 We would also like to thank the reviewers from Stem Cell Reviews for their helpful insights and comments. Webb, S., Pain, E. (2006). Navigating the stem-cell research maze. Science Careers, 1 December 2006, http://sciencecareers.sciencemag.org/career_development/previous_issues/articles/2006_12_01/navigating_the_stem_cell_research_maze [Accessed September 10, 2008]. Hinxton Group (2006). Consensus Statement. http://www.hopkinsmedicine.org/bioethics/finalsc.doc [Accessed September 10, 2008]. International Society for Stem Cell Research (2006). Guidelines for the conduct of human embryonic stem cell research. http://www.isscr.org/guidelines/ISSCRhESCguidelines2006.pdf [Accessed September 10, 2008]. Directors of ESTOOLS and EuroStemCell (2007). Joint Statement: The impact of legislation in Europe on our ability to perform research using stem cells. http://archive.eurostemcell.org/Documents/press_releases/27.07.07-JointStatement-estools-eurostemcell.pdf [Accessed September 10, 2008]. Geneva Convention IV (1949). Relative to the protection of civilian persons in time of war. http://www.icrc.org/ihl.nsf/385ec082b509e76c41256739003e636d/6756482d86146898c125641e004aa3c5 [Accessed September 10, 2008]. Eser, A., & Koch, H. G. (2003) Forschung mit humanen embryonalen Stammzellen im In- und Ausland. Rechtsgutachten zu den strafrechtlichen Grundlagen und Grenzen der Gewinnung, Verwendung und des Imports sowie der Beteiligung daran durch Veranlassung, Förderung und Beratung. http://www.dfg.de/aktuelles_presse/reden_stellungnahmen/2003/download/gutachten_eser_koch.pdf [Accessed September 10, 2008]. Dahs, H., & Müssig, B. (2003). Rechtliche Stellungnahme. http://www.dfg.de/aktuelles_presse/reden_stellungnahmen/2003/download/gutachten_dahs_muessig.pdf [Accessed September 10, 2008]. Deutsche Forschungsgemeinschaft (2006). Stammzellforschung in Deutschland—Möglichkeiten und Perspektiven. http://www.dfg.de/aktuelles_presse/reden_stellungnahmen/2006/download/stammzellforschung_deutschland_lang_0610.pdf [Accessed September 10, 2008]. Australian government (2007). National statement on ethical conduct in human research. http://www.nhmrc.gov.au/publications/synopses/_files/e72.pdf [Accessed September 10, 2008].